In previous lessons we looked at architecture first as the result of human action on the earth and then simply as a material body. If we continue this anthropomorphic analogy, the focus of this lesson will be on those structural and morphological aspects of architecture which, either consciously or subconsciously, we perceive as being similar to our own physical behaviour and so think of as the gestures a house makes. Houses want to rise up into the sky. 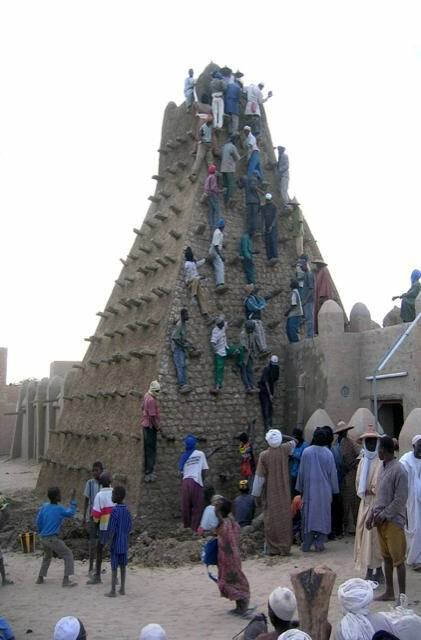 A house in Mali, built within a few days by a small group of people, is a heap of soil which reaches up to the sky. 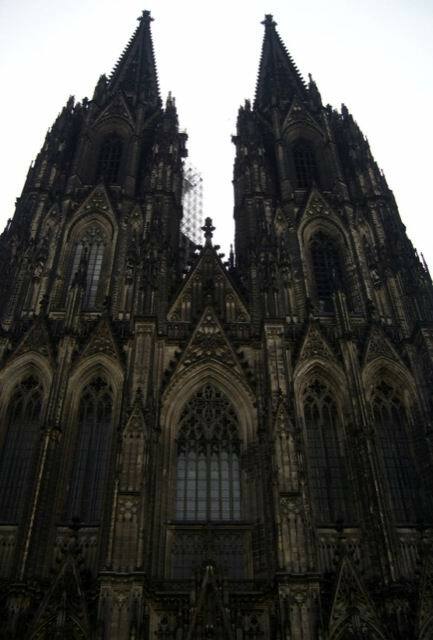 The great Cologne cathedral in Germany, built over six hundred years by twenty generations of craftsmen, is a complex and articulate organism made of stone which rises up into the heavens. House, Timbuctu (Mali) (from: © UNESCO / F. Bandarin). Cathedral, 1248-1880, Cologne (Germany) (from © Manhart/UNESCO / C. Manhart). Houses mimic mountains, and they make use of mountains to climb even higher. The pyramids of Ancient Egypt and the temples in Cambogia and Indonesia are artificially-constructed mountains, made from carefully-hewn, massive pieces of stone placed one on top of the other. Fortresses and fortified abbeys are artificial crowns that lend power to the mountain summits they were built on, enabling them to reach even further skywards. 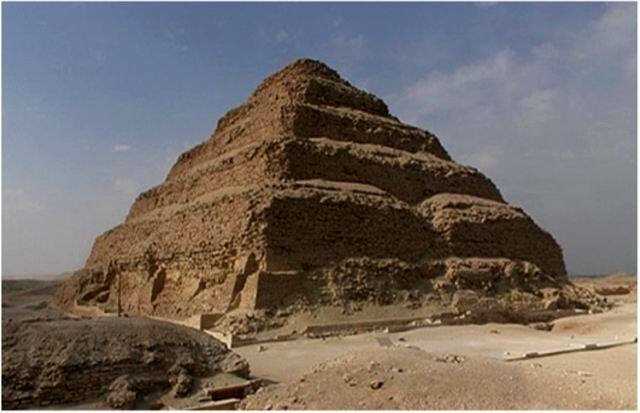 Pyramid of Djoser, approx. 2650 B.C. Saqqarah (Egypt) (photo D.Mazzoleni). 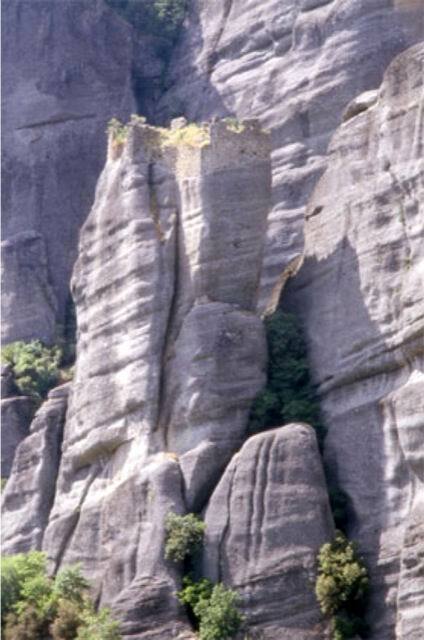 Monasteries, XI-XV century, Meteora (Greece) (UNESCO). 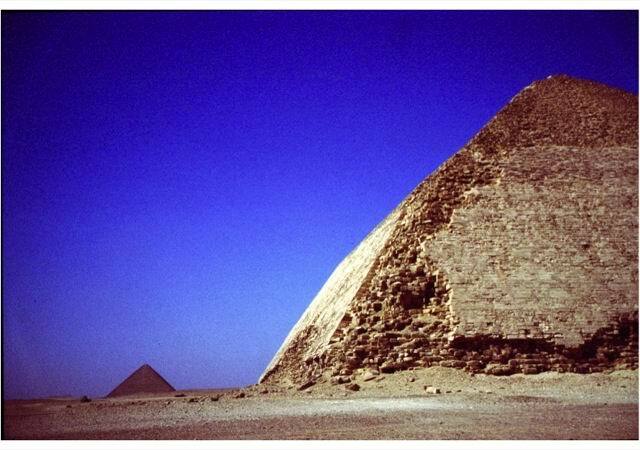 Double-sloped Pyramid and the Red Pyramid, around 2,500 B.C., Dahshur (Egypt). Photo by Corinna Rossi. Houses incorporate mountains becoming immensely powerful. The St. Michele Monastery on Mount Pirchiriano, near Turin, has managed to capture and preserve the sacredness of the site through a thousand years of history, spanning the Ligurian, Celtic, Roman, Longobard, Carolingian, Camaldolese and Benedictine periods. The Potala palace, in Lhasa, Tibet, the chief residence of the Dalai Lama (until the Chinese occupation) is one of the most perfect examples of synthesis between artifice and nature, and of lasting symbolic power regardless of changes in political regime. 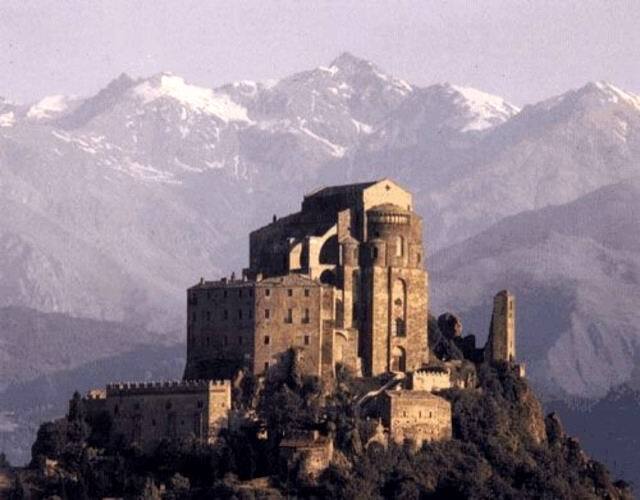 San Michele monastery on Mount Pirchiriano, 983-1622, S.Ambrogio, Turin (Italy) (from ARENGARIO). Potala, VII-XVIII century. 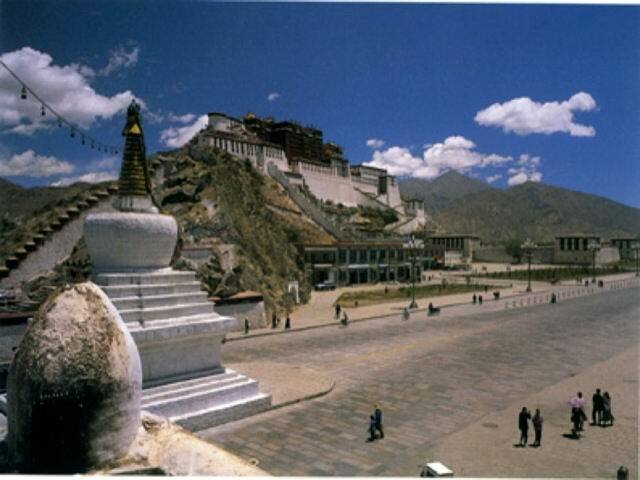 Lhasa (Tibet) (from: Knud Larsen, Amund Sinding-Larsen The Lhasa Atlas: Traditional Tibetan Architecture and Townscape 2001). The roof of the house is a hat. In the timeless houses of traditional African architecture in Toga, the roof is a straw hat protecting the house from the sun. In the wooden Celtic-Viking-Romance church in Urnes in Norway, the roof is a pointed hat which protects it from the snow and ice. 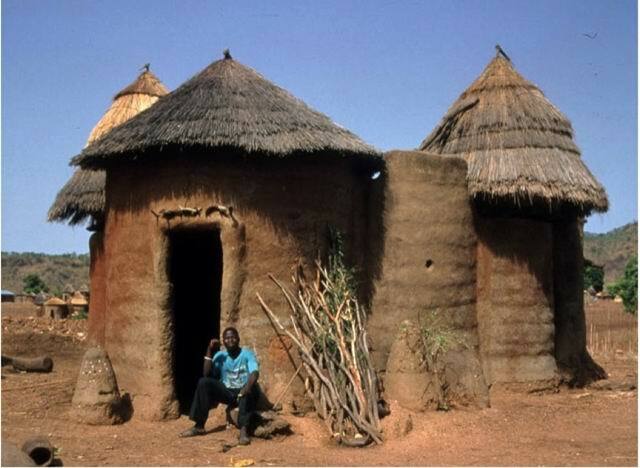 Houses (Togo), (from - © UNESCO / T. Joffroy, CRATerre-EAG). 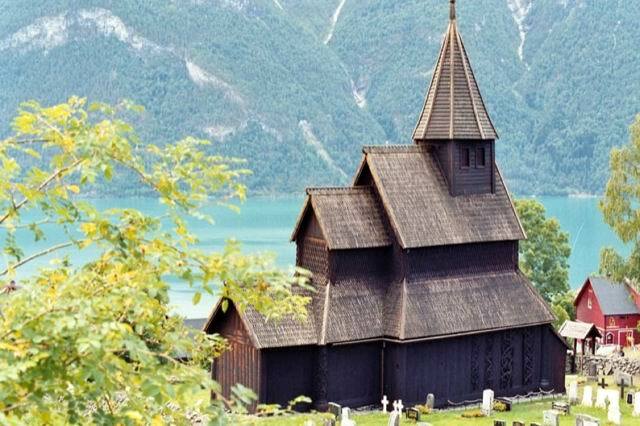 Celtic-Viking-Romance church, XII-XIII century, Urnes (Norway) (from - © UNESCO / Vujicic-Lugassy, Vesna). The roof of a house is an umbrella. 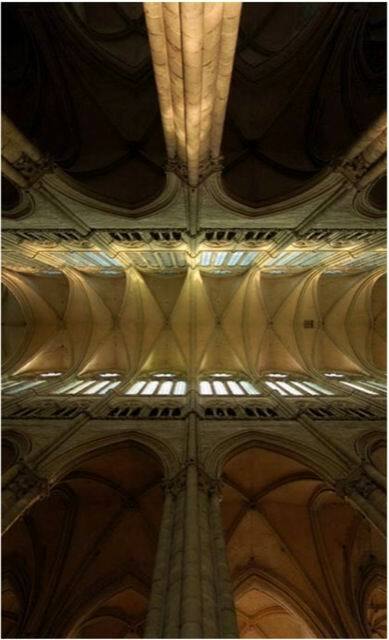 The rib vaults of the ceiling in the gothic cathedral at Amiens in France look like sails waving in the sky. 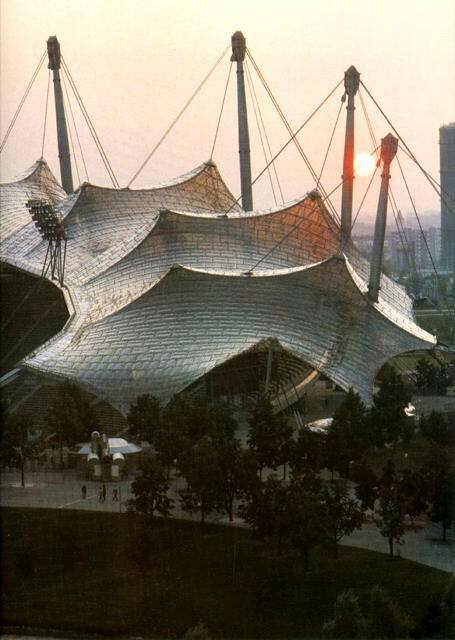 The tensostructure at the Olympic Park in Munich, Germany, designed by Gunter Behnish and Frei Otto uses a combination of points and steel cables which alternate compression and traction techniques to keep the double-curved roof structure taut. Cathedral, XIII century, Amiens (France) (from UNESCO). The roof of the house depicts the layers of the sky. The roof of the Temple of Heaven in Beijing, China, represents heaven in its symbolic form (a circle) and also in its different layers. 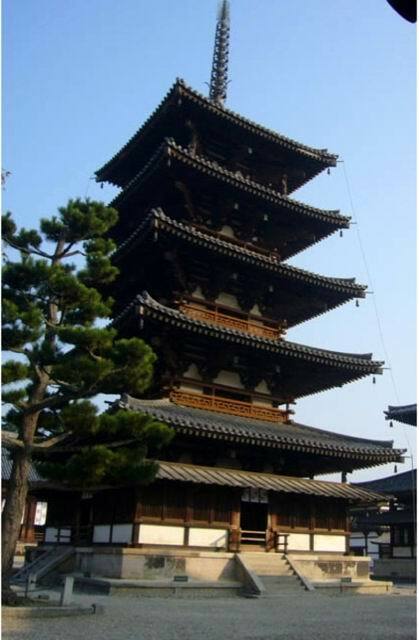 The roof of the traditional temple in Nara, Japan, captures and reproduces the different layers of the sky. 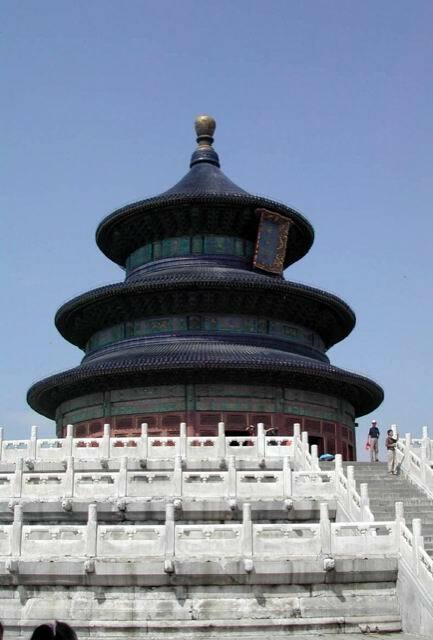 Temple of Heaven, first half XV century, Beijing (China) (from © UNESCO / F. Bandarin). Temple,VIII century, Nara (Japan) (from © UNESCO / G. Boccardi). The cupola is the cranium of the house and it entraps the sky within its skull. 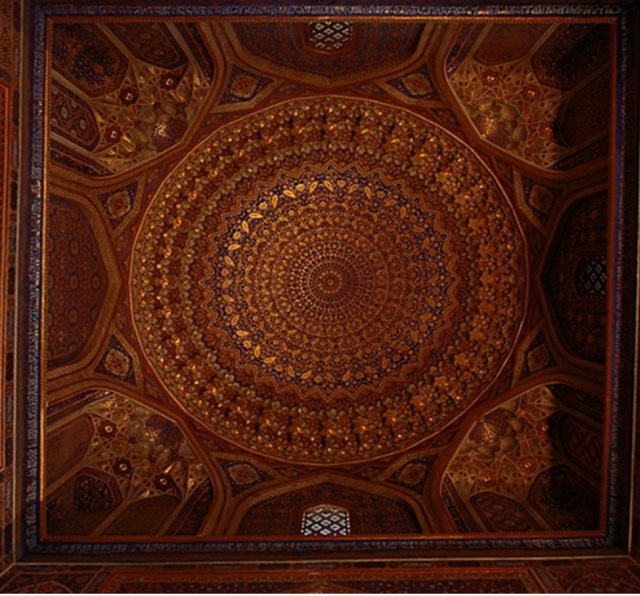 The cupola in the Samarkanda Medress, in Uzbekistan, is a double sun disc. 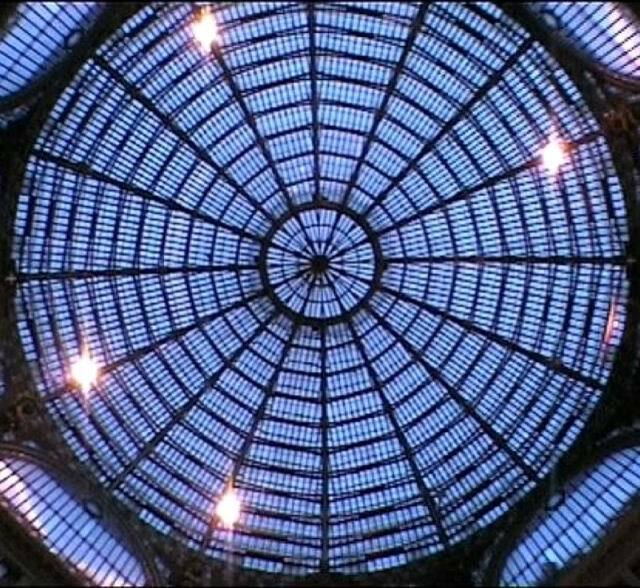 With the development of new technology for working steel and glass in XIX century, cupolas became transparent and so were literally able to imprison the sky inside, revealing its light and colour directly. Tilla-Kari Medress, XIV-XV century, Samarkanda (Uzbekistan) (from UNESCO). Emmanuele Rocco, Paolo Boubée, Galleria Umberto I, 1890, Naples (Italy). Houses mimic the shelter provided by a tree’s branches. 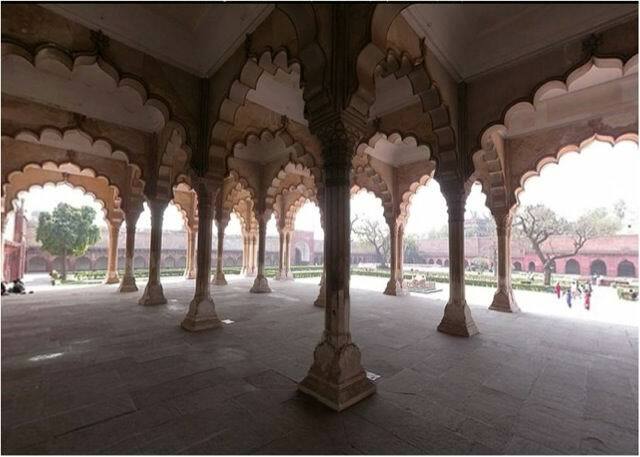 The large arcade in the Imperial Palace at Agra, India, is like a forest of columns with intertwining arches above. 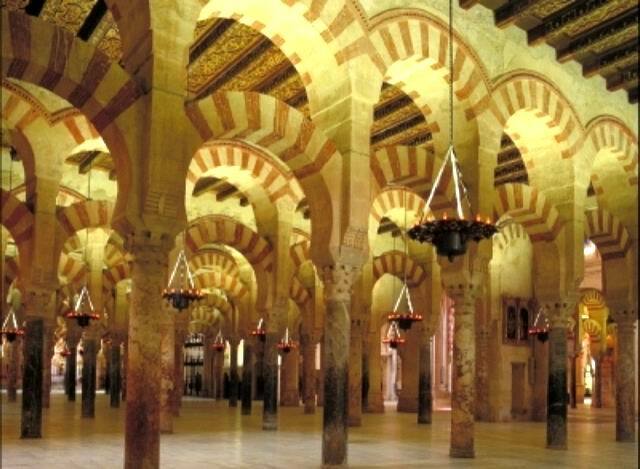 The Mosque in Cordoba, Spain, has a huge hypostyle hall, a forest of stone running in every direction, with a few clearings hidden deep inside, full of religious significance and intricate and superimposed artistic languages. Mosque, VIII-X century, Cordoba (Spain) (from UNESCO) (photo D.Mazzoleni). A house is an exoskeleton and is as hard as a shell. 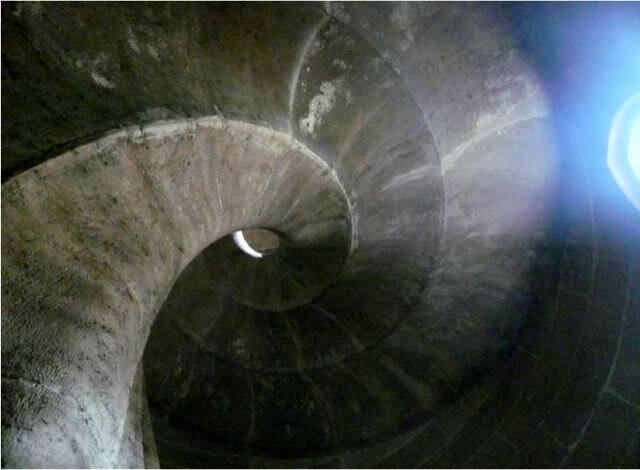 The spiral stone staircase in the Silk Market in Valencia, Spain, is like the shell of a Nautilus. 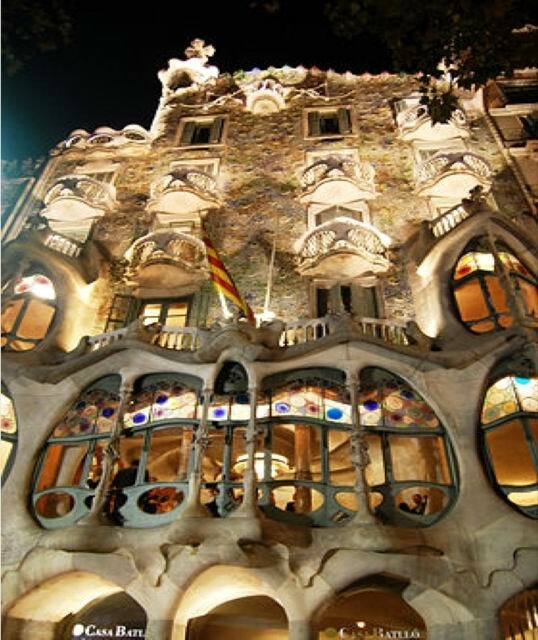 The Batllò building in Barcelona, Spain, by Antoni Gaudì, is a concretion of stones like fossil bones. Beautiful, rich houses love admiring themselves in a mirror. 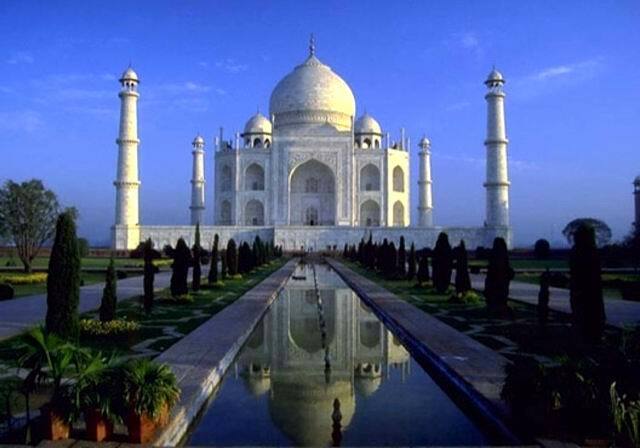 The Taj Mahal mausoleum in Mughai, India, doubles its elegant beauty through its reflection in a long pool of water. In far-eastern traditional architecture, water forms an integral part of “holistic” landscape design, creating a whole between what the western world divides into “nature” and “culture”. Taj Mahal mausoleum,1631-48, Mughal (India) (from UNESCO). Traditional temple Kyoto (Japan) (from UNESCO). Beautiful but simple houses love looking at themselves in the mirror. Along the transhumance routes, paths, hillsides and rivers follow on from each other like episodes in the “story” of the journey, each little stopping place marking the passage of time and space. Church of Santa Maria al Monte, near Santo Stefano in Sessanio, XIV century. Large track in Aterno valley, Abruzzi (Italy) (photo D.Mazzoleni). 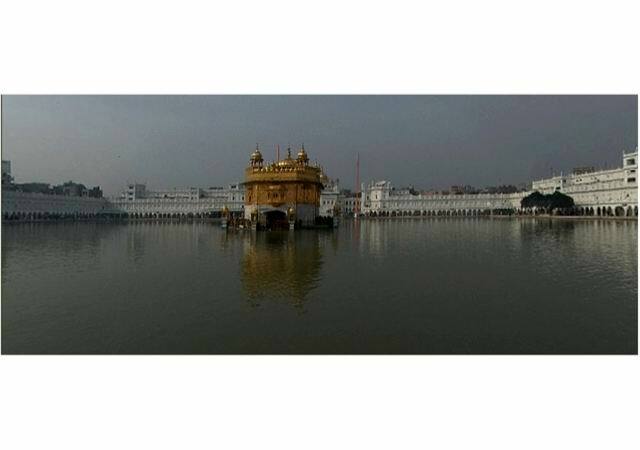 Pool of Immortality, Golden Temple, XVI century, Amristar (India). 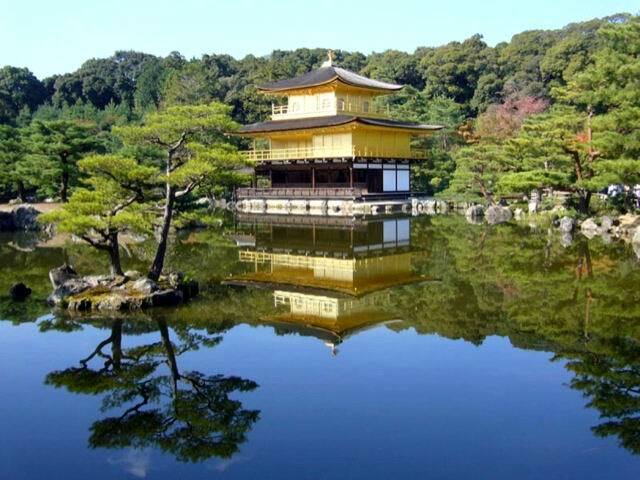 from: World Heritage Tour. 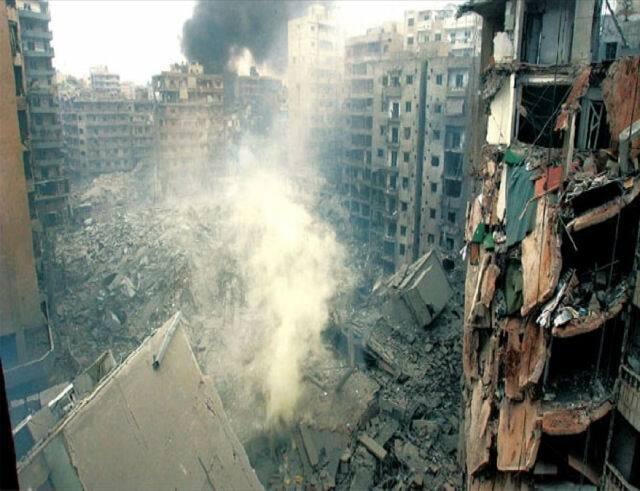 The death of a house can be violent: a house can be destroyed by war. A house can die when it is abandoned or neglected. A house can die through consumerism: even great works are demolished to make way for buildings more useful to the market economy. 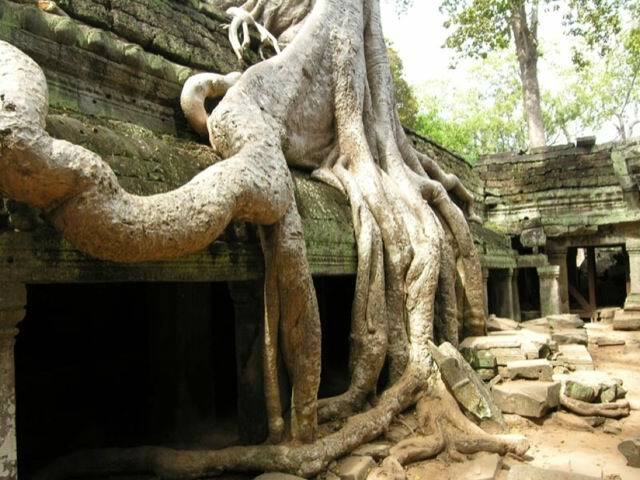 The most beautiful death for a house is when architecture once more becomes part of the great natural food cycle as is happening with the monumental complex in Angkor Vat, in Cambogia, where huge tree roots are feeding off the ruins of human construction. Angkor Vat (Cambogia) (from © UNESCO / F. Bandarin).